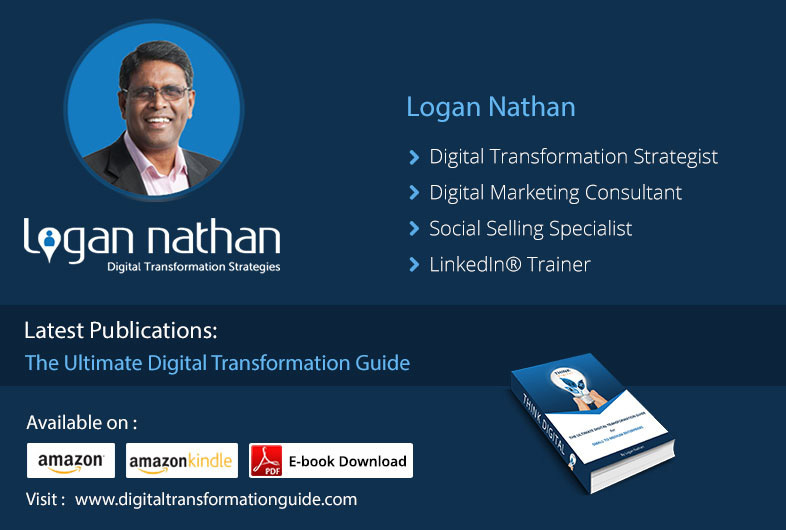 With LinkedIn connecting an undisputed 4 million users in Australia, the usefulness of this networking platform has been felt by many a professional. However, for many of us, time is of the essence. As much as we’d like to connect and engage with professionals of our industry and related stakeholders, our “on-the-go” lifestyle makes it difficult to make meaningful human contacts. Now, you can rid yourself of these concerns thanks to an awesome App called CardMunch. 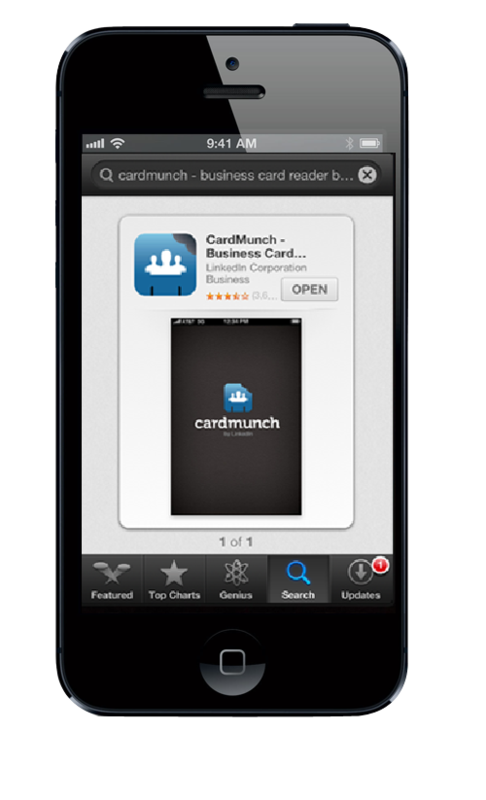 One of 2012’s Top 50 iPhone Apps, CardMunch, allows you to free yourself from the hassles of managing piles of business cards (and losing a few)! It gets better – this awesome app is now a part of LinkedIn. Its close integration with the networking site allows you to add LinkedIn contacts and browse their work history within minutes. 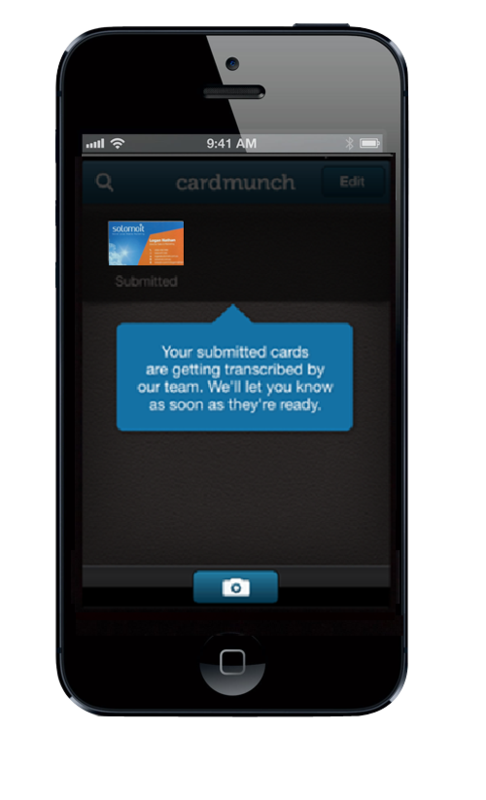 Thanks to CardMunch, you won’t be facing the hassle of managing piles of business cards. 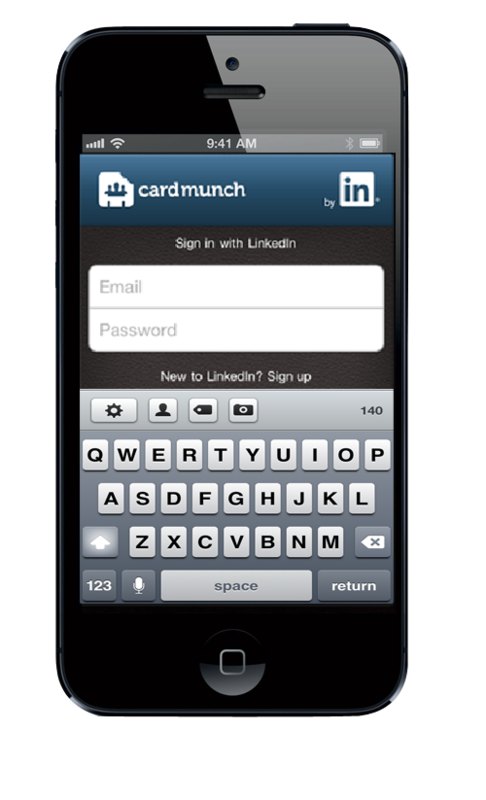 Simply point and capture the image of the business card using your iPhone, and CardMunch’s people type in the person’s information and store it as a clean mobile contact. It even holds the image of the business card as a backup! 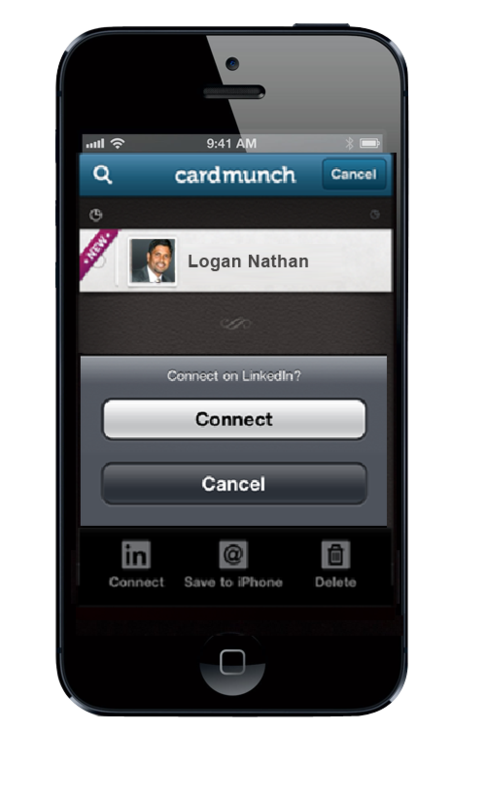 Thanks to LinkedIn owning CardMunch, the app automatically locates your contact’s profile and pulls in shared connections as well as highlights from their bio. How awesome is that? 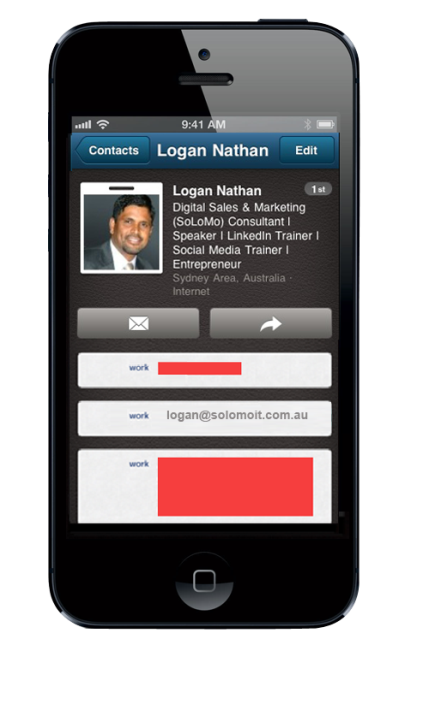 Once you take the picture, a couple of minutes is all it takes for the contact and the LinkedIn profile to appear. You can easily identify the new contact as it appears with the word “New” on the top. After you’ve sent the “Connect” request go into the app at regular intervals. Identify those who have become 1st connections – It’s as simple as ABC! 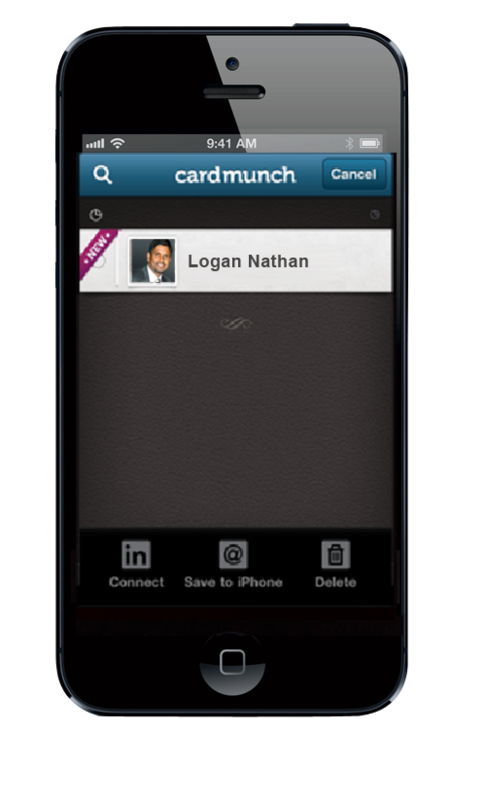 CardMunch is an awesome App that can save you so much time, while helping you network as much as you please. 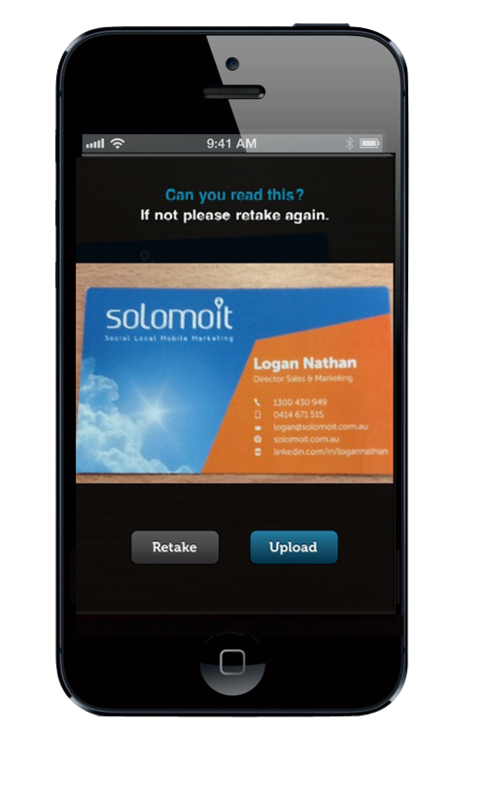 However, one minor drawback we noticed was when you select the “Connect” option (after having scanned the business card and the contact details being recorded on your mobile device) an automated message is sent to your contact. This message is standard and the App does not allow for customisation. The ability to send a personalised message to the contact is a useful feature that is lacking. 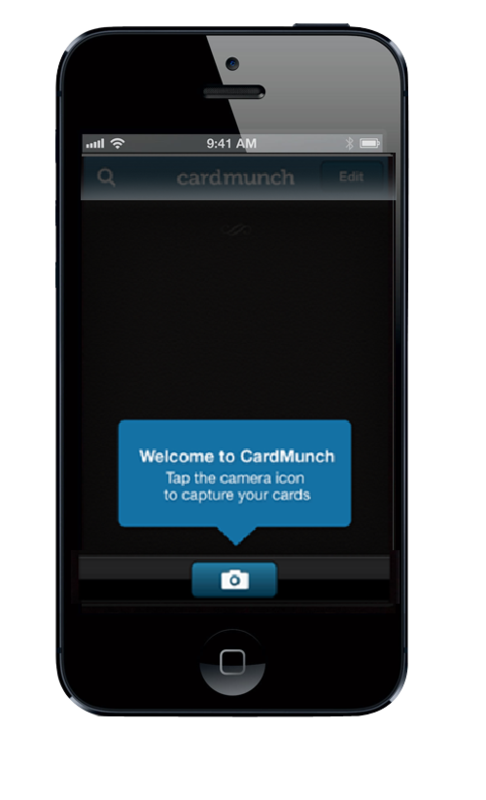 We’re sure CardMunch will overcome this glitch in the next version and offer an even better networking experience. What are you waiting for? Download the FREE app from the iTunes app store and get connecting today! We’d love to hear from you. So, once you try it, do drop us a line and let us know of your experiences. Cardmunch is great in theory. In practice, they are having real problems keeping up. Over the past month, transcribing time has gone (for me, and, to judge from comments in forums and social media, many others) from a few minutes to, most recently, several days or more. Response from customer support has been vague, evasive, and unhelpful. Response on social media — Facebook, Twitter, LinkedIn, and forums — has been nonexistent. Complaints are growing, and are being met with silence. My guess is that the thing that made them better than anyone else — the fact that humans review everything — is now their biggest problem. It appears that they simply don’t have enough humans to review and transcribe the cards. Thanks very much for writing in. Yep, we agree. In our experience the transcribing process ran into a few minutes. 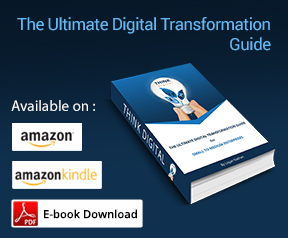 However, the fact that humans are reviewing and transcribing everything maybe leading to problems as the App gets increasingly popular. When we came across the App, we too were wondering just how the CardMunch team was managing to keep up with all the work. Like you’ve mentioned, the human factor, their strength, may not be sufficient to keep up. A couple of months down the line, we may get a better and clear picture of the situation. An automated process maybe in the cards, but that may undermine the novelty of the App.